Blogs on Web Design, Graphics, Animation, and Multimedia from Professionals: CAD Vs AutoCAD– What's the Difference? CAD Vs AutoCAD– What's the Difference? Do you wanna make career in field where you may have to work with CAD (Computer-Aided Design) and AutoCAD? For this you need to know the difference between them? CAD is the general term that applies to the use of computers in the design of houses, office buildings, interiors and anything else that previously required hands-on drafting. AutoCAD is a specific piece of software used by many architects and designers for commercial design purposes. CAD (Computer Aided Design) uses computer technology to produce 2D and 3D images of architectural and industrial designs. 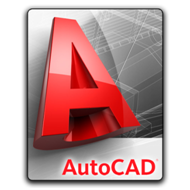 AutoCAD is one among the CAD software. Now let’s look at difference between them. CAD (Computer Aided Design) is designed to take necessary geometric shapes and manipulate them into a specific design. CAD applications are computer-driven, allowing designers to collaborate from anywhere in the world via the Internet. AutoCAD is widely used CAD application that was developed by Autodesk Inc. in the year 1982, to aid programmers in all aspects of 2D and 3D Design and Drafting. Presently, the company has over 75 different products that address all phases of design, including manufacturing, infrastructure and building. AutoCAD software is wide use by engineers, architecture, manufacturing, media & entertainment personnel all over the world to create 3D Visual Effects. How Does CAD software works? CAD and AutoCAD both use a system of algorithms to operate primitive objects into a desired shape. Meshes are formed using a system of points and vector lines on an XYZ axis to enable 3D drawing. The images created are known as vectors, can be manipulated in size and orientation. CAD software not only produces images, but also gives documentation and material reports. A drafter has the advantage of being able to test the design before it is implemented. This allows drafters to analyze the integrity of the design in various conditions prior to presenting to a customer. If you are an architect or designer, you may use AutoCAD software to create 2D and 3D drafts to use in the design of homes and additions or to perform renovations. If you are working as a civil engineer, you can use AutoCAD software to design improvements in roadways and make cities and towns more energy-efficient. Other industries and professions that employ CAD and make use of AutoCAD software include manufacturing, automotive and engineering. Depending on your work perform; there are various forms of CAD that you could employ. 2D Drafts that flat, while 3D and 2.5 dimensional drawings show the depth and space of a design. Few types of models to study the dimensions of a design or simulate what the inner-structure of your design might look like include wireframe, surface and solid modeling. AutoCAD is the wide selling product of Autodesk. When you use AutoCAD, you have the ability to draft 2D and 3D designs and create photorealistic rendering. Because different fields use AutoCAD in specific ways, there are various versions of the AutoCAD application for a variety of work types, such as architecture, mapping and piping design. According to the U.S. Bureau of Labor Statistics (BLS) , best job options are expected for CAD drafters with two years of post secondary education. The BLS reported a five percent growth for all drafters from 2008-2018; however, the growth will be slightly better for architectural and civil drafters. Presently a CAD drafter can earn an hourly wage of $14.78-$20. according to Payscale.com. If you are looking for best institute for training in AutoCAD course then CAD Training Institute is the best institute to meet your requirements. The faculty at CAD Training Institute (CAD) is extremely supportive and motivates the students to come out with distinguished projects. We provide live projects to work on. CAD Training Institute offers an intense course in AutoCAD i.e. “AutoCAD Master”. Apart from this, we will provide you assistance of industrial visits and practical training. Thus, if you are looking for the best AutoCAD skills training institute but don't know the exact destination where to begin with? Don't worry! We are here with skilled experts to help you out. Students can opt for regular, part time and weekend batches as per there convenience. We will surely guide you all positive aspects of AutoCAD.